I greatly dislike dropping series I’ve started, even when I don’t enjoy them at all. There are almost always redeeming snippets found in even the most colossal failure of a series which can still be appreciated. It’s also nice being able to look back on a series as a whole and consider where it worked or failed, and while maybe I didn’t like it, at least I won’t have to see it again, or wonder if any of it paid off come the end. The snag with this though, is when a series I didn’t enjoy gets a second season. How do I consider my opinion on something when I only know half of the story? Sakuragi Hinako is a country girl who isn’t so great with interacting with strangers. In fact, she locks up so stiffly at the fear of conversation that her arms stretch outward into a scarecrow pose! Understanding this flaw in her personality, Hinako decides to move to Tokyo. She plans to take up drama at her high school, as what better way to become comfortable speaking in front of strangers than by acting on a stage in front of them? Upon reaching Tokyo, she acquaints herself with the inhabitants of the bookstore she will be staying at, including the doll-like Mayuki and the girl who loves books so much she can’t help but eat them, Kuina. Moe is good business, but it’s a busy business. 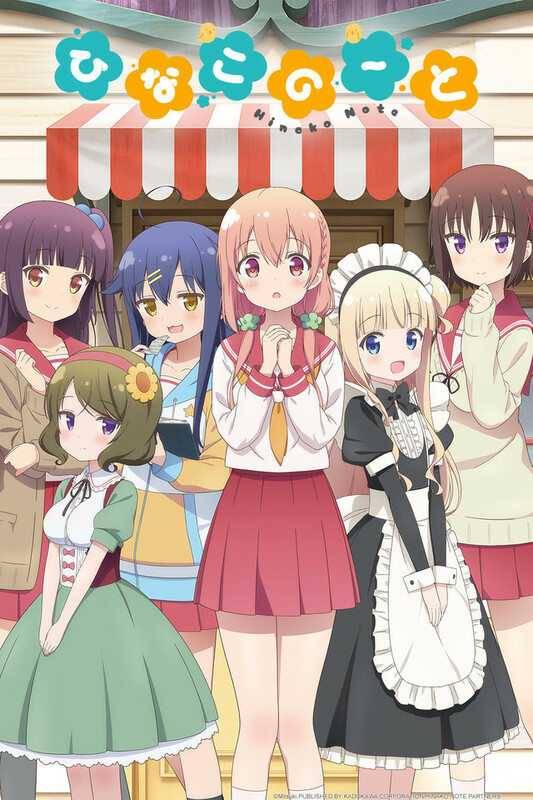 There are more moe series now than ever, and you really need to do something special to make yours stand out in a crowd of similar series. Some achieve this through writing or by presenting entertaining new scenarios or fresh takes on old ones, while some series may attempt at a point to be emotionally abusive, which latches you onto the characters. Hinako Note doesn’t do these things. Hinako Note, on a graph of highs and lows, does a very good job at keeping that needle drawing a straight line. 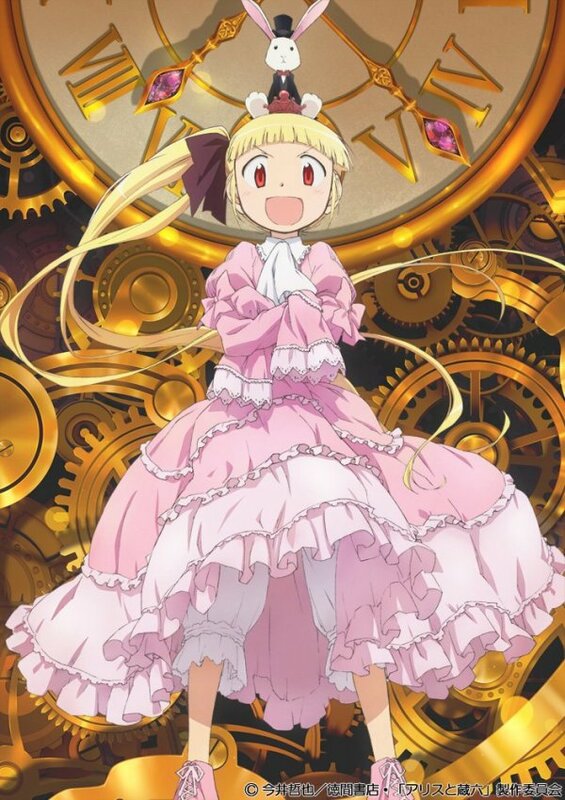 It has a strong start, as you’re introduced to the various characters, a few of which have unique character quirks that allow them to stand out in a group of forgettable folk, but the series falls into a pretty stable fan service-filled rhythm after a few episodes, and while the generic opinion to have about a series such as this would be to give it a loose recommendation by using phrases like “if you’re into this genre” or “it’s charming”, and that wouldn’t be incorrect, it truly is difficult to get behind any sort of recommendation such as that. Hinako note doesn’t do anything wrong. The production is fine. It looks and sounds fine. The character designs are okay, etc, etc. The problem rests in its individuality when cast within a genre of heavy hitting moe series such as Non Non Biyori or K-On! or even this season’s Eromanga Sensei. 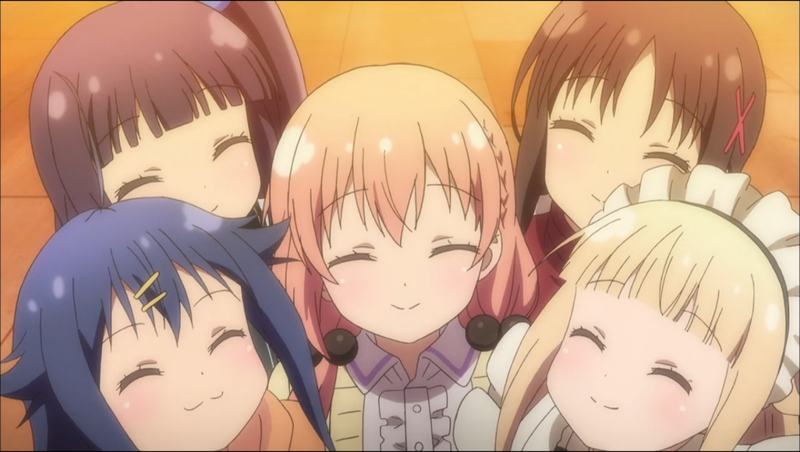 Hinako Note does what it can with what it has, but the problem is that what it has isn’t very unique or endearing. Rather than call it forgettable, I’ll say “This is a 萌え series for enthusiasts of the genre” and call it a day. With the sudden deaths of their parents, step-siblings of the Izumi family Sagiri and Masamune have led quiet, awkward lives. Masamune takes care of the younger Izumi, who no longer attends school or so much as leaves her room. 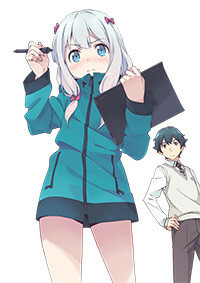 Masamune is a light novel author, and while his stories aren’t the most popular, he leads a healthy fanbase, thanks to his entertaining characters and his books’ illustrations by the talented mystery artist Eromanga Sensei. Trouble is afoot however, when a live stream by this mysterious illustrator it is reveals to Masamune that they are no other than his own step-sister! 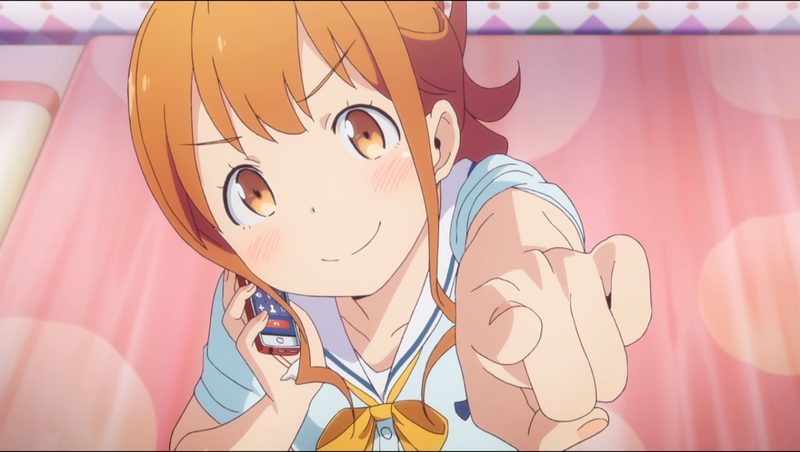 In stark contrast to Hinako Note, Eromanga Sensei is a moe comedy series which attacks the tropes of its genre with an audacity which is impossible not to appreciate. 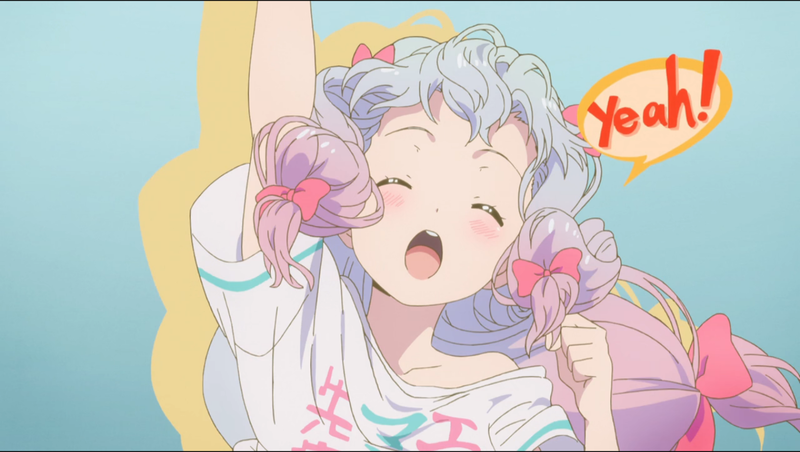 Eromanga Sensei is vividly aware of what the viewer might know about anime tropes, genre tropes, character archetypes, knowledge of the industry and so forth, and it uses every inch of that to craft situations for its various characters to flirt as closely as it can with the fourth wall without outright acknowledging the viewer as a character. This works wonders for its comedy and its references, which in turn makes the series very engaging to watch, as it makes you curious what line will be crossed next. This self-aware dance the series is constantly performing is entertaining on its own, but I won’t discredit the production, either. This is a clean looking, well animated and well directed series with superb character designs and a voice cast which is entirely up to the task of delivering their particular character’s lines in the most effective way possible. I was especially a fan of Masamune-kun’s CV, Matsuoka Yoshitsugu, whose voice performance alone sold many of this series’ gags. Eromanga Sensei is a tightly produced series filled to the brim with memorable characters and hilarious moments. To those looking for comedy, search no further, especially for fans of moe or of Fushimi Tsukasa’s previous work. Out there among us, are young people who house tremendous power. Should they so much as will it, anything they wish can be made to manifest in the real world. This power is known as “Dream of Alice”, and the golden-haired Sana is one such holder of its power. On a rain-soaked night, after a life of being held captive by those seeking to experiment with her power, she is freed by a mysterious ally, and runs as far as she can. But how does a young girl like Sana, who has never known a life outside live with no friends or family, with those seeking her power trailing her every move? What a superb opening! The extended first episode of this series overflows with mood and anticipation, and one shot in particular swells with the sense of potential adventure. 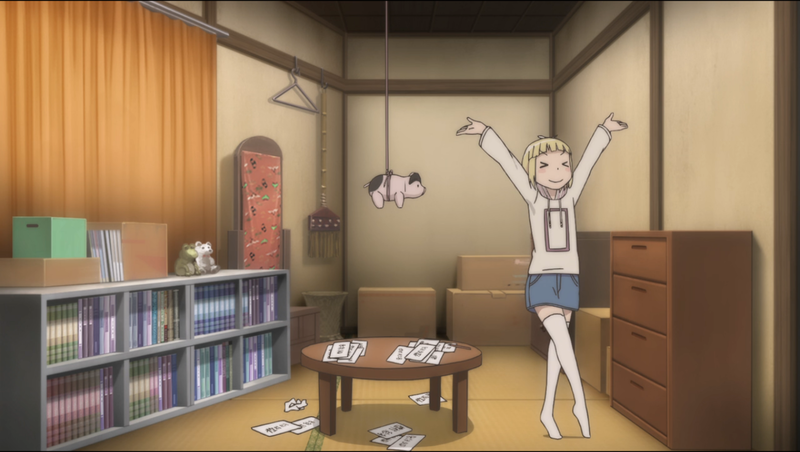 Alice to Zouroku is wonderfully directed, and includes a range of great character designs and personalities. A couple of the characters steal every scene they’re in, and the soundtrack overall is just wonderful. From the perspective of someone who watches a lot of anime, this series exudes production quality in ways many others simply don’t. The issues are there in equal measure though. It’s always off-putting to see product placement, and there are a few very brazen instances of that here, and if this series is to be held as a singular narrative, it whiffs hard at sticking the landing come the end. The pace is uneven as well, and where the front-end of this series sets the groundwork for a more action-focused series, Alice to Zouroku at a point becomes something else. This isn’t wholly damning, as there are a number of strong moments nestled in there, but at a point it felt as though the writer(s) simply changed their mind. Taken as a production, Alice to Zouroku is great. It looks and sounds wonderful, and great skill was utilized in crafting a stylish, sometimes enthralling tale with great battle sequences and sobering introspection. It’s the uneven road to its underwhelming wrap-up though which unfortunately makes it a hesitant yet urging recommendation. A clown who visits those gazing into a mirror. A hitchhiking man with a grim fate. These tales and more rest within the pages of the Yami Zukan. Have you the willpower or the bravery to raise its cover and see them for yourself? I’m a guy who loves anthology series, and especially horror or science fiction anthology series such as The Twilight Zone, Tales from the Crypt, or Tales From the Dark Side. It’s this appreciation for series such as those which spurs on my interest in anime series like Yamishibai as well as this past season’s Sekai no Yami Zukan. It was a strong start, too, with a strong art style and a brief story about a man whose wife begins to behave oddly. It’s unfortunate then, that many of the stories which followed took on a less-than-mind-bending tone, and left little to be disturbed by. Rather, the episodes took on a more comedic tone, and I’m unsure how much of that was intentional. Entertainment is entertainment I suppose, regardless of whether you’re laughing at or with its creator; and by that token, Sekai no Yami Zukan isn’t a total failure, at least from the viewer’s side. It’s the sort of situation though, in which you feel guilty for laughing. Sekai no Yami Zukan may lure you in with a false sense of disturbing atmosphere, but any excitement it manages to build early on quickly dissipates to make way for seemingly unintentional humor. 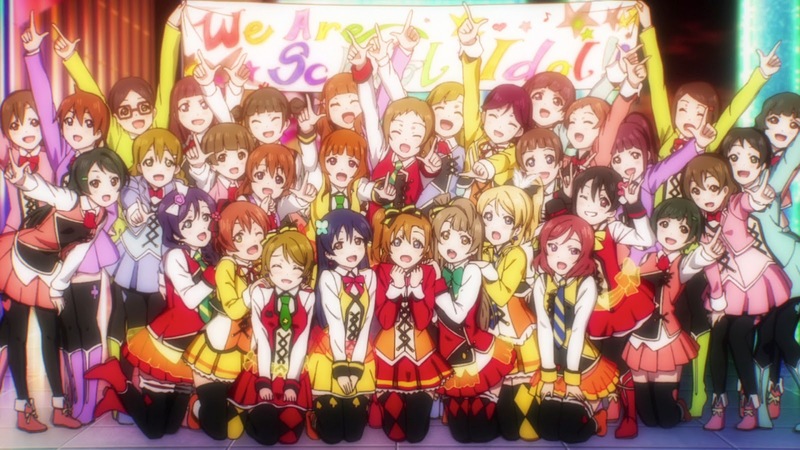 The success of Muse as a unit has brought many highs and lows, and leading to the graduation of Otonokizaka High’s seniors, Eri, Nico, Nozomi and the other girls of Muse are left with an important decision. Before it is made however, it’s off to America to hold a promotional event! Will this trip to an unfamiliar place help or hinder the unit’s ability to come to their conclusion? Love Live! The Movie is a difficult one. I can say with enthusiasm that the increased production value gained by having Muse’s story see its end on the big screen rather than through a tv anime does well to make it a looker in areas the series has struggled with up to this point. 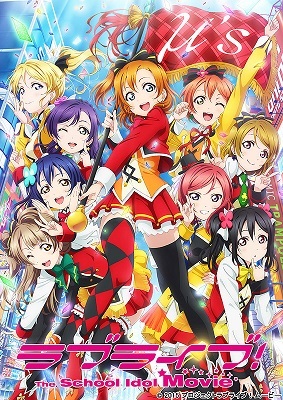 Though the idol performances still utilize CG characters, the quality of the art (especially the background art) and animation has seen improvement, and where the second season of the tv anime I felt lost some of the superb sound design the first had, this film sounds great as well. Most of my issue with this movie then, is pacing. 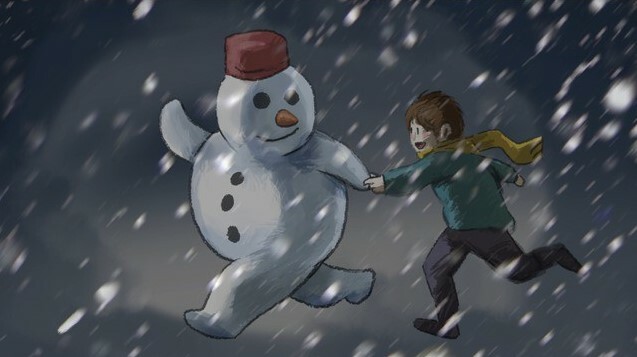 The overseas segment which leads the movie is entertaining as someone who lives in the West, but what it ends up doing is it disrupts the flow of the film, because while its purpose is explained and this provides context for the ultimate conclusion to Muse’s story, it seems as though it could have been left to be told through an OVA. This is only because once the girls return to Japan, it’s back to business as usual. The excitement of being in an unfamiliar place is gone, and the middle of the film is largely spent with characters standing around speaking to one another. There is also a new character introduced on the way whose origin and nature is left as a loose end. The reason this isn’t a deal-killer though, is because the ending is well worth not only the uneven jog from the start of the film to the end, but also the longer journey from the beginning of the first season of the tv anime to here. It feels like a culmination, and that alone makes it a success; and it is the tone with which it is delivered that makes it such a wonderful thing to see after all of this time spent with these characters. It has been an entertaining and inspiring ride! Muse’s story comes to an end, and while the path leading up to it is uneven, it is an end well worth witnessing for anyone who has grown to love these characters through its previous two seasons. June was lost to Tekken. I had the idea of doing weekly live streams an hour or so in length which would entail my rise from spammy idiot to knowledgeable powerhouse, and it’s still an idea I like the sound of, but the time commitment just hasn’t worked out. For now, there is a youtube playlist depicting some of my travels, and videos are being added to it regularly, so if you’re interested in the game or in how poorly someone can play it, check it out? The summer anime season is here, and there have been very few series on the list which are jumping out at me. It will be very interesting to see more Yamishibai after its last season finally got back on track, but other than that, it’s throwing darts at the board and seeing where they land really.